Relax in this newly decorated 2 bedroom, 2 bathroom, gulf front unit with new flat screen TVs, updated kitchen with granite counter-tops, and all new designer furnishings. This unit comfortably sleeps 8 with a king size bed in the master bedroom, 2 twins in the guest bedroom, and a queen sized sleeper sofa in the living room. The living room, and both bedrooms are equipped with brand new flat screen TVs. 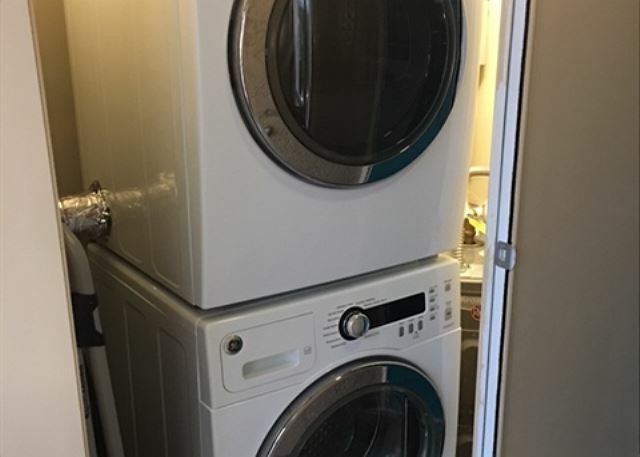 ***THIS UNIT IS ONE OF VERY FEW THAT OFFERS A WASHER & DRYER*** Make your reservations online today in this top of the line condo! Take advantage of complimentary Xplorie excursions to enhance your vacation. We stayed in unit 213. First let me say i would stay in this unit again. It was beautiful and extremely clean. My suggestions to the owner would be please get better mattresses. They are so hard not firm but hard! I only slept about 3 hours a night. None of our phones worked in the unit. We could not get the free WiFi or even use our own service provider. This is an issue for people that still have to do a little work on vacation. Overall we had a wonderful vacation. Thank you!! We enjoyed our time in Florida and the room we had couldn't have been better. ALthough the booking did say there was a washer and dryer in the room with photos of the washer and dryer in room and turned out there was not was a bummer but it was okay overall. The rooms where a good size. the Kitchen was great we cooked just about everyday there. AMAZING. Upon our entrance to our original unit, we were not pleased with the dated look of unit #114. My husband notified property management and they were able to help accommundate a better unit that we could move into. We have been coming to Destin every year and stay at this same condo for many years. This building is very well maintained. The staff on location was very responsive and helpful. I noticed a minor leak in one of the bathrooms and within minutes of mentioning it the front desk manager was there to check on it. She then had the maintenance man come by and he temporarily fixed it and had the maintenance crew complete the repair the next morning. They were extremely courteous and bent over backwards to make the repair as seamless as possible. The location is very convenient and the internet was flawless. The one very minor drawback was the proximity to the pool as kids could be heard playing but it was a minor thing at most.I would definitely stay there again, and I can not say enough good things about the folks that work there.